As the massive bull-run of 2017 demonstrated, the early adoption of cryptocurrencies is primarily speculative trading. However, the current experience of trading crypto assets is a fragmented experience with scattered pockets of liquidity, and a highly technical and high friction process. Security flaws plague the industry and hinder adoption. Investors today need to have a particular appetite and tolerance for risk, not to mention an acute ability to discern legitimate investments from the rampant exit scams and phishing attacks. There are a plethora of centralized exchanges available to retail investors today, but a much smaller subset of these exchanges are properly regulated, not to mention trustworthy and reliable. While industry pioneers like Coinbase have pushed the space forward and newer entrants like Binance raised the bar for the alt-coin trading experience, the industry still suffers from constant hacks and malicious acts. The custody of funds is a huge risk to exchanges and their users. As more money pours into the space from new investors, centralized exchanges become increasingly larger honeypots — an enticing target for malicious actors. The nature of a centralized exchange dictates that some trusted third party is storing the crypto assets of its users to create a pool of liquidity, this being done mostly by aggregating funds into exchange-owned digital wallets where assets from users are pooled into. Millions of people could lose not just their identity and data handed over to centralized exchanges, but their money as well. 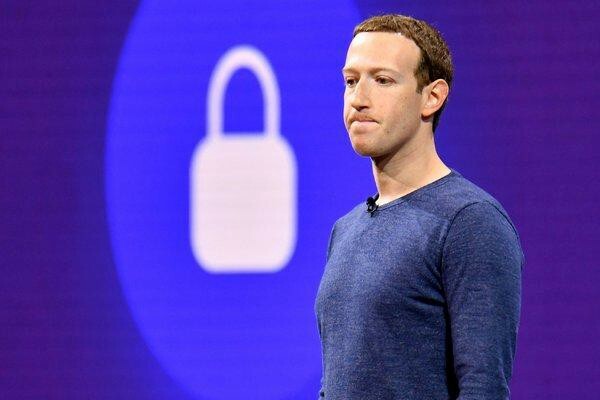 It is to be expected that the frequency and severity of attacks will only rise with market growth and a scenario in which an attack as widespread as the recent 50 million user Facebook hack — where both private data and money were stolen — could happen. “Hot wallets” are used by centralized exchanges to make assets available to trade, while the rest of the assets not being traded are offloaded to “cold storage”, which means they are stored in secure devices not connected to the internet. While this should be standard practice, it’s almost impossible for users to know whether an exchange is actually putting these security measures in place, and exchanges aren’t eager to be fully transparent about the wallets they own and the handling of funds. Aside from the risks of having custody of user’s tokens, there’s also the factor of security with regards to the network and infrastructure that the exchanges are built on. The current lack of regulatory clarity has lead to a low barrier of entry for operating crypto exchanges. This, in turn, makes it difficult to distinguish between exchanges that adhere to the most stringent security standards and those who merely create an illusion of credibility and trustworthiness. The vague stance on the part governments means many crypto startups operate in a regulatory grey area. The SEC only recently clarified that they view Ethereum as not a security token, meaning it wouldn’t be subject to existing securities laws. Up until recently, you were only able to purchase tokens on their own from an exchange. Today, we are starting to see an emergence of basic index funds such as the new Coinbase Bundle and Bitwise. It wasn’t until late 2017 that we saw the introduction of Bitcoin Futures from CBOE and CME. We expect new entrants to continue entering this arena, especially crypto ETFs, as well as other attempts at index funds or derivatives. The Lake Project has taken a different approach by leveraging its proprietary AI to put investing on autopilot (in research and development). While it’s not a problem particularly limited to centralized exchanges, it’s been reported that listing a token can cost as much as $3 million. In contrast, listing a stock on NASDAQ costs $125k to $300k plus annual maintenance fees. This is just one example of the greed exhibited by those who have leverage and the middlemen who stand to profit in between (consultants, brokers, ICO firms, etc). These high fees dampen innovation as they’re too great of a cost to bear for most token/ICO projects. This is crucial for most projects as they need liquidity to bootstrap their network and to remain favourable with the community that invested in them. Aside from security concerns, centralized exchanges are opaque at best, and at worst, monopolistic and corrupt. At the end of the day, they are a middleman which you must trust to transact with, and you are subject to their rules and the way they operate. Plenty of centralized exchanges have been suspected and accused of wash trading (creating fake volume), insider trading, and price manipulation. As centralized exchanges carry more risk, and have more opaque control of their platform, they often charge higher fees compared to a decentralized exchange. In order to achieve the future vision of a free-flowing tokenized economy, these problems at the fundamental level — the free-flow of value and trade — need to be solved, and that starts with security. In the meantime, if you’d like to learn more about our vision of a decentralized financial future, please visit http://lakeproject.co. We’ve also just launched our zero-fee decentralized exchange, Lake Trade, now live on main-net! It’s time to address the massive problems of centralized exchanges was originally published in Hacker Noon on Medium, where people are continuing the conversation by highlighting and responding to this story.